I will never understand why Mobily is charging regular phone users 350SR for “unlimited” Internet access while “Connect” owners (Data only SIM card) get to pay half that? Unlimited is subject to “fair use” policy, you will only get 1GB daily at full speed then you get throttled. Just like that. The 175SR/month is a *limited time* offer available from Jan 28th to Feb 27th. I should also clarify that the price will go back to 350SR most likely. However I’ll still pay 200SR for 5GB while Connect owners will pay 100SR only. خفضت شركة اتحاد اتصالات (موبايلي) من قيمة الاشتراك الشهري لباقات (الكنكت) المسبقة الدفع والمفوترة للمشتركين الجدد إلى النصف، وذلك في عرض خاص طرحته الشركة ابتداء من يوم السبت الماضي 28 يناير 2012م ويستمر حتى 27 فبراير من هذا الشهر. وقالت “موبايلي” أن قيمة الاشتراك الشهري في باقة 5 جيجابايت قد انخفضت إلى 50 ريال فيما انخفضت قيمة الاشتراك الشهري في باقة الاستخدام اللامحدود إلى 175 ريال، فيما شمل العرض باقات (كنكت) لاب توب والتي توفر العديد من الخيارات للمشتركين للاتصال بشبكة الإنترنت ابتداء من سرعة 7.2 ميجابت بالثانية و 21.6 ميجابت بالثانية بالإضافة إلى سرعة 42 ميجابت بالثانية والتي تعمل على شبكة HSPA+ ذروة الجيل الثالث المطور. وأشارت “موبايلي” إلى أنها أتاحت هذا العرض المميز في جميع فروعها المنتشرة في جميع مناطق المملكة، مما سهل على الراغبين في الاستفادة منه الحصول عليه، ومتابعة أعمالهم من خلال أحدث شبكة اتصالات في المنطقة. وتعمد “موبايلي” بين وقت وآخر على إثراء حياة مشتركيها بالعروض المميزة على جميع الخدمات التي تقدمها، ومن ضمنها باقات (الكنكت)، مما أبقاهم على اتصال دائم بالانترنت من خلال أفضل الأسعار. وتعد “موبايلي” اليوم رائدة النطاق العريض بشقيه الثابت والمتحرك في المنطقة، وعززت من ريادتها امتلاكها لأكبر بنية تحتية تحتوي على أحدث ما توصلت إليه التقنية في العالم، مما ضمن لها تقديم خدماتها بجودة واعتمادية عاليه، كما وضعت “موبايلي” اسمها على قائمة الشركات التي تمتلك أكبر شبكة للجيل الثالث المطور في المنطقة بتغطيتها 94% من مناطق المأهولة بالسكان، وقد حظيت بنية “موبايلي” التحتية المتطورة باهتمام الشركات العالمية التي رأت فيها نموذج يضيف لها قراءة واقعية لمستقبل قطاع الاتصالات. I managed to find one spot in Riyadh where HSPA+ speed reached 9mbps. Anyone managed to find a location with speeds up to 42mbps? If you bought something you didn’t like you get to return it to most stores for a replacement or refund. In Saudi Arabia we have the “البضاعة المباعة لا ترد و لا تستبدل” policy, sold items cannot be returned nor replaced. It’s thanks to the lack of any real consumer protection. If you are not completely satisfied with your purchase, please follow the guidelines detailed below and we will be happy to help you to return your purchase. If you’re not 100% satisfied with your Staples purchase, return it for any reason. No matter when you made your purchase, you can return office supplies to us for a full refund, including Staples® brand office products. Just search google for “return policy” for many examples. There is a movement on twitter to boycott alshaya, simply search for this hash tag: #noshaya. Update: Sorry about the repeating text. I blame STC. 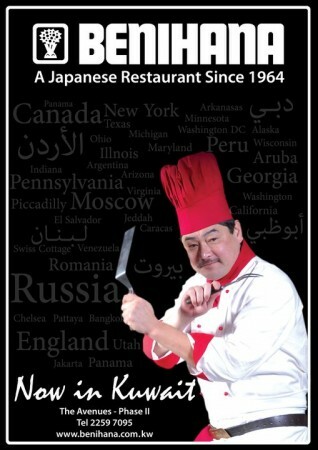 A blog from Kuwait, 248am is being sued by a Japanese restaurant named Benihana because of this review. If the restaurant win this would set a bad precedent in the blogging world in Kuwait and possibly the rest of the Middle East. Will we see restaurants sue anyone who writes an unfavorable review on Qaym? (Qaym is an Arabic restaurant review site). Hmm, so when are you guys planning to open in Riyadh, Saudi Arabia? hmm? 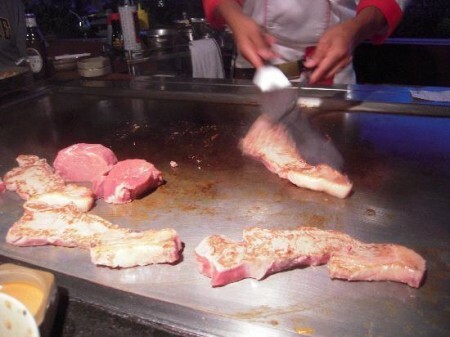 Seriously though, stop this silliness, benihana and improve your restaurant. Quick post, I can’t really post anything else thanks to the slow Internet speed. First of all, it rained heavily in Jeddah yesterday January 26th. Unfortunately it was chaotic and thanks to twitter (tag #JeddahRain) people managed to help each other. Today, Thursday, every STC Internet connection (DSL and 3G) is slow to a crawl! Mobily and others are fine apparently. Not sure what caused it but it’s most likely had something to do with JeddahRain. 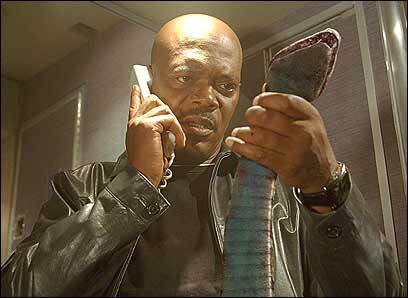 A Saudi man was arrested in the UAE for carrying ****** snakes on a ****** plane! Hilarious! 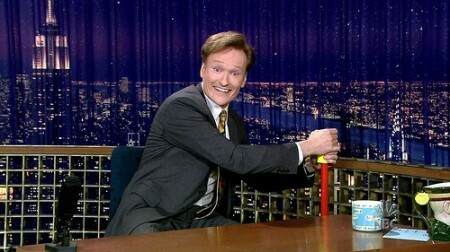 Thanks Ahmed Darweesh for the link! Abu Dhabi // A passenger has been arrested at Abu Dhabi airport after spending more than eight hours with a bag of snakes on a plane. The Saudi passenger was said to have been carrying four snakes, two parrots and a squirrel in his hand luggage. He was caught at the first security checkpoint after arriving at Abu Dhabi International Airport on Etihad Airlines flight EY471 from Jakarta, which landed in the capital shortly before midnight on Thursday. The animals were not licensed for international transport. They had no health certification, nor confirmation that they were not on any endangered list. Abu Dhabi police officials expressed surprise that the passenger had cleared security at Jakarta with the animals. Khamis al Marar, the acting director general of security affairs and ports in Abu Dhabi, stressed that carrying animals on board is strictly prohibited. In this case, other passengers’ safety was at risk, he said. He added that licensed animals had to travel in specially designed boxes, which should be stored in the aircraft’s hold. However, it is not the first time unauthorised reptiles have made their way into the passenger cabin of an Abu Dhabi-bound flight. In August last year, a baby lizard caused panic on a flight from Cairo after it was found wandering along the aisle, having worked its way free of the bag in which it had been smuggled. Some animal traffickers go even further. A man was arrested in February last year after flying from Dubai to Melbourne with two live pigeons stuffed inside his pants. 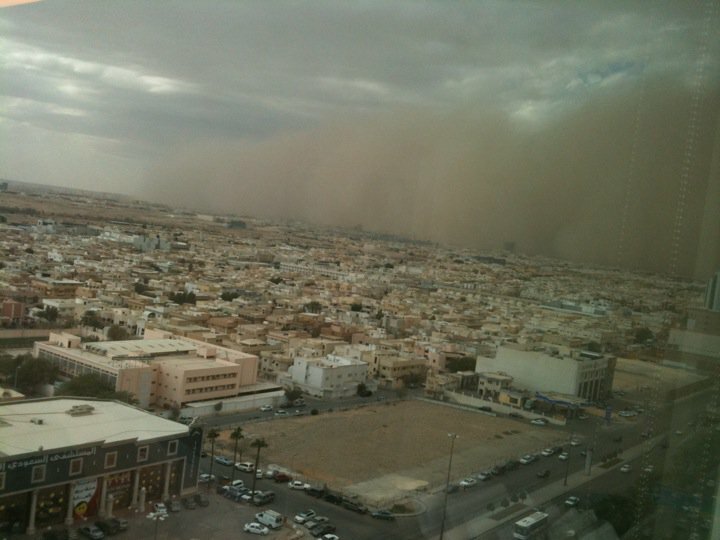 Here’s a photo taken minutes ago by Faisal for a sandstorm over the city of Riyadh. Probably not as bad as the March 2009 Riyadh sandstorm. By the way, make sure to follow @RiyadhWeather for important updates regarding Riyadh Weather. Smokefree Saudi Arabia: Smoking banned at Saudi airports! A major step forward, Saudi Arabia re-enforces it’s ban on smoking in airports by forcing a 200SR (about $50) fine on anyone smoking in a Saudi airport! It’s about time, so many people are already smoking in the airports including airport employees! Although the Kingdom passed anti-smoking regulations in August 2003, the habit is growing among its population. There are six million smokers in the country who puff away SR8 billion every year. According to one report, smoking-related diseases kill at least 33 people in the Kingdom each month. We still have a long way to go though. Make sure to follow @SmokefreeRiyadh on twitter for the Smokefree Riyadh project.